If you’re currently running your assays using GC, GC-MS, or HPLC, a bold new world awaits you. Discover how the power of liquid chromatography (LC) coupled with triple quadrupole tandem mass spectrometry (MS/MS) can simplify and consolidate your current assays, dramatically increase your assay quality, and vastly expand the repertoire of assays you can provide – without breaking your budget. With the SCIEX Triple Quad™ 3500 LC-MS/MS system, modern hardware, powerful software, and robust engineering combine to enable lower levels of detection and quantitation than conventional GC and LC workflows, and across a wider range of analytes. You’ll get expert level performance at an entry level price. 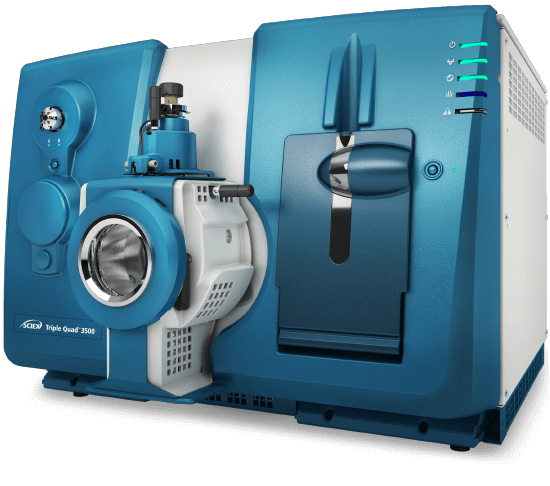 The SCIEX Triple Quad 3500 LC-MS/MS system combines the ease of liquid chromatography with its inherently broad analyte applicability, with the quantitative power of triple quadrupole tandem mass spectrometry (MS/MS). Liquid chromatography is amenable to the analysis of a wide array of analytes. In fact, many compounds that are difficult to analyze by GC such as thermally labile and chemically unstable analytes, amines, and semi-volatile compounds, are ideal candidates for LC-MS/MS. GC based assays, including GC-FID and GCMS, typically require samples to be in an organic injection solvent. This often necessitates derivatization of hydrophilic analytes to improve their volatility, ionization, or peak shape. Although usually more straightforward, HPLC-UV and HPLC-DAD assays can also involve complicated sample preparation techniques and be labor intensive depending upon the compound class. In contrast, while LC-MS/MS sample preparation methods can include solid-phase extraction or liquid-liquid extraction, they are often as simple as direct injection, dilution, or protein precipitation. By minimizing sample handling and decreasing the number of sample preparation steps, not only are areas for contamination minimized, but time is saved as well. And with today’s ultra-high performance LC systems (UHPLC), you can save even more time with ultra-fast chromatographic separations. 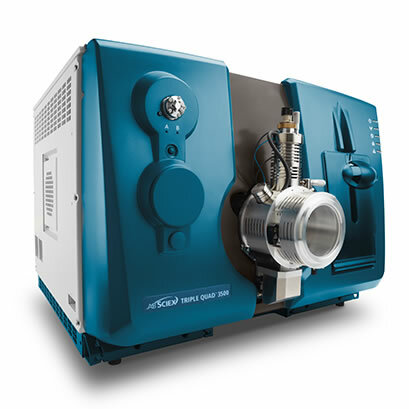 Mass spectrometry has been used as a powerful back-end detector for chromatographic separation techniques for over 50 years. It not only acts as a physical detection device that marks the specific retention time for your analyte, but it also provides an additional layer of specificity by providing molecular weight information on each compound. Now imagine that power intensified. With tandem mass spectrometry (MS/MS) you’ll gain yet another level of selectivity through detection of analyte-specific product ions. Through a process called multiple reaction monitoring (MRM), analyte precursor ions are selected in the first stage of analysis, dissociated into fragment ions within the second stage, and selectively filtered and detected within the third stage of analysis. Thus, by sequentially selecting and fragmenting each analyte so that only analyte-specific product ions are detected, the specificity and sensitivity of the assay can be improved exponentially. Additionally, co-eluting analytes and samples within complex matrices that may have been problematic for other assays, can greatly benefit from the additive power that MS/MS provides. SCIEX has built their reputation on developing high quality, robust, and reliable instrumentation that customers world-wide have come to rely upon on a daily basis. We introduced the first commercial triple quadrupole instrument almost 40 years ago and from that day forward our research scientists have never stopped innovating and advancing mass spectrometry technology. Evolved from an industry leading legacy, the budget-friendly SCIEX Triple Quad™ 3500 LC-MS/MS system contains all of the robust quality engineering you expect from the SCIEX portfolio. Check out how SCIEX customers are using the Triple Quad 3500 System in these scientific publications. The Triple Quad 3500 LC-MS/MS system enables the analysis of more compounds in every injection, lower quantitation limits, and increased sample volume and throughput productivity over conventional GC and LC workflows. Maximize uptime with a system that can handle even the most difficult matrices with ease. Includes legendary Turbo V™ technology, patented QJet® Ion Guide design, and the ultimate Pulse Counting detector. This legendary source provides high-sensitivity analysis over a wide range of flow rates with quick-change APCI and TurboIonSpray® probes. The patented design yields excellent ion containment and operates at high pressure, providing better collisional focusing to enhance ion transmission for ultimate sensitivity. The detector technology works in combination with a pulse overlap correction algorithm, enabling more accurate and precise ion detection over a wide dynamic range. MS Food Screening-Think LC-MS/MS for Routing Food testing is too Expensive?